What is winning composed of? It's easy to understand which team is up or down when the margin is high, but what about when the game's pretty close? 0. Nexus - This one's the king of chess, once you capture it, game's over. You win. If you all die it doesn't matter, if you have 0 kills and 50 deaths it doesn't matter. If you're 1v5 it doesn't matter. You win. 1. Turrets: These are your number one priority. No matter how many kills you have, if the other team has more turrets down than you, you're gonna feel the pressure. Turrets give not only global gold when you destroy them, but also grant you protection and a large amount of vision in crucial spots. 2. Early game kills: Dying early game is probably the number one reason for losing a lane. Dying to a jungler gank is one thing, but dying to someone that you can see right in front of you is another. Even if it means sacrificing a few last hits, don't die alone in a lane. If you almost killed him, you're probably dead. While these won't make or break the game alone, they create a pace and a sense of having a cushion. 3. Dragon/Baron: Early game dragon battles/kills are almost as important as turrets. If you can kill one person bot or their jungler, you'll definitely want to try and 4 man dragon if your jungler already has wriggles. It grants a huge amount of gold and definitely gives a major advantage. Baron on the other hand, is game changing. While you can baron as early as level 11, you'll want to definitely keep an eye on it around level 14 onwards. If 5 are mia at the same time and they're not at dragon, your first clairvoyance priority should be on Baron. 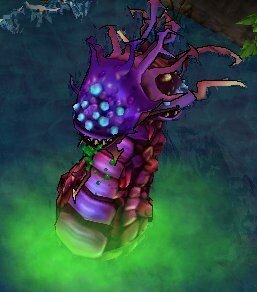 However, if you're going to ward Baron, be sure to move in 5s. There's nothing worse than dying trying to ward Baron and forcing your team to fight 4v5 from the get go. 4. Creep kills: While some people might say that creep kills are the most important thing in the game, I personally think that it comes under these other three. Early laning CS is crucial for victory, but as long as you're around the same as your opponent, participating in team fights is much more important to give you team the advantage of another person. 5. General Kills: Kills should definitely be at the bottom of your list, especially if you're chasing someone 1v1. Chasing enemy heroes, especially for prolonged time, and especially through towers generally has bad consequences. You might even get the kill, but the fact is, if you die, it definitely wasn't worth it unless you were at a -5 kill streak and they were at a +5 kill streak. It's always better to wait for an ally and secure the kill on the spot. Note: Late game, if you're one of the only two or even the only person left in a teamfight, don't go chasing their low hp hero, it's not worth it. Even if you can kill them and get some damage off on the rest, if you die and your team gets aced, there's nothing standing between the enemy team and your base. At level 18 even Soraka could deal some healthy damage to your base with a little help from creeps. What about buying the right items? I feel like that's one of the most important things in the game. individuals learn what kinds of funding opportunities are helpful or otherwise not. Update please, after drag gold changes it should be moved higher up and say that at 10-11 mins it's the best time to drag. 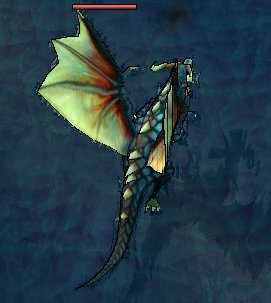 Also mention that wriggles is a hardly used item now.